You Must Use Your Right to Remain Silent! The SCOTUS (Supreme Court of the United States) recently took a major stance on the historic Miranda Rights. For many decades, suspects being arrested were given "the right to remain silent" and told "anything said can and will be used against you in a court of law". 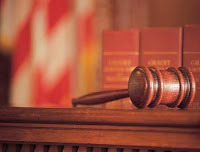 The Miranda Rights, from the Miranda v. Arizona (1966) case, also provide a right to an attorney. On Tuesday of this week, the high Court ruled criminal suspects must actually speak up and exercise their right to remain silent. Before this ruling, suspects would be waiving their right when answering police questions after the warning. According to the Court, this change in the law is the best preservation of the Constitution. "There is good reason to require an accused who wants to invoke his or her right to remain silent to do so unambiguously," wrote Justice Anthony Kennedy for the majority. Allowing silence or ambiguous statements to suffice, Kennedy said, would force police to "make difficult decisions about an accused's unclear intent and face the consequence of suppression if they guess wrong." The 5-4 ruling was very close, and a landmark change for the judiciary. One has to wonder if suspects are keeping up on such important changes in the law.